If you have ever spent any time on Webster street in North Tonawanda, then you know that there are some great places to eat near the Riviera Theater. That whole area is filled with interesting places, and Lou's Restaurant is one of the more cozier places to grab something to eat. From the outside, Lou's looks like a tiny place. But don't let that fool you or stop you from grabbing a table. Lou's is a place that has a relaxed feeling the moment you step through the door. You never have to wait long to get seated, or you can just sit at the counter. I love the sort of nostalgic layout to Lou's with the counter and the food displays behind it. There are plenty of tables for everyone, so don't be shy about stopping in. The service is fast and friendly. I was actually pleasantly surprised at how often our server came over to check on us. It seems like half the people who eat at Lou's know everyone who works there, and that only helps to create an even more inviting ambiance. The whole place is clean, the tables are huge, and the booths are comfortable. Everything I had at Lou's tasted home cooked and the portions were more than enough. I have had a few sandwiches and a burger or two, and it was always perfect. I confess to never having an entree, but they definitely looked good whenever they passed by our table. The desserts in the display case looked good too, but I never seem to have time for dessert. Lou's is located right next to the Riviera Theater, and it can be a great place to eat before a show. Lou's is open from 7:00 a.m. to 7:00 p.m., and you always get a good table. The prices are reasonable, and the service is fast. 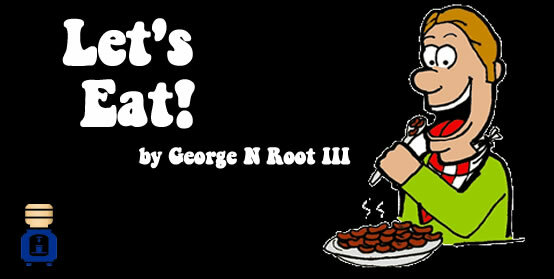 George N Root III is a guy who likes food. If you saw him, you would have no problem guessing that. Follow him on Twitter @georgenroot3, or send him a message at georgenroot3@gmail.com.